You can do lots of things while talking on an iPhone, such as consulting your calendar, taking notes, or checking the weather. Press the Home button to get to the apps that let you perform these tasks. If you’re using Wi-Fi, 3G, or 4G and are on an AT&T iPhone, you can also surf the web (through Safari) while talking on the phone. But you can’t surf while you talk if your only outlet to cyberspace is the AT&T EDGE network or a CDMA network such as the ones that Sprint and Verizon rely on. 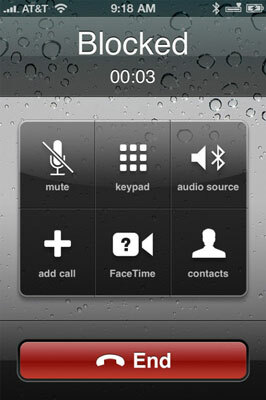 Mute a call: From the main call screen, tap Mute. Now you need not mutter under your breath when the caller ticks you off. Tap Mute again to unmute the sound. Tap Contacts to display the Contacts list: This option is useful if you want to look up a friend’s number while you’re talking to another pal or you want to add someone to a conference call. Place a call on hold: Touch and hold the aforementioned Mute button. Tap Mute again to take the person off hold. You might put a caller on hold to answer another incoming call or to make a second call yourself. The next section shows you how to deal with more than one call at a time. Tap Keypad to bring back the keypad: This feature is useful if you have to type touchtones to access another voicemail system or respond to an automated menu system. Heaven forbid you actually get a live person when calling an insurance company or airline. 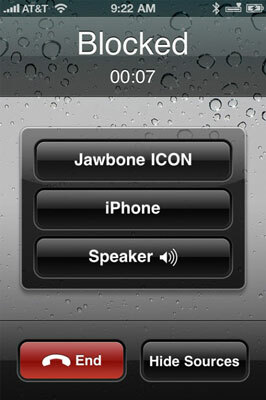 Use the speakerphone: Tap Speaker to listen to a call through the iPhone’s internal speakers without having to hold the device up to your mouth. If you’ve paired the iPhone with a Bluetooth device, the control is labeled Audio Source instead. Tap Audio Source and then tap Speaker (if you want the speakerphone), iPhone (if you want to hold up the phone to your ear), or the name of the Bluetooth device. A tiny speaker icon will appear next to your selection. 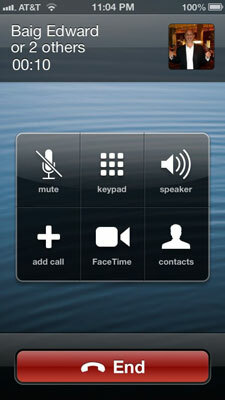 Make a conference call: Read on.